Bhubaneswar: Jeroen Hertzberger stood at the 23-metre line, enduring the excruciating wait for the whistle to go off to begin his twinkle-toed journey towards Vincent Vanasch and glory. After 60 minutes and some more, all the years of dreams and sweat had precipitated into that singular, endless moment on this windy evening, beyond which waited two possibilities. 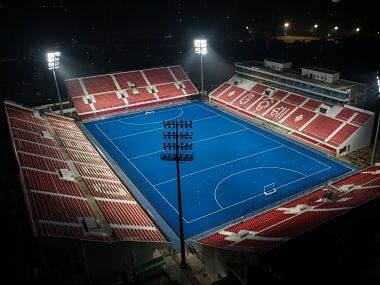 This was sudden death — an 11-men sport broken down to its binary best, and not one of the 15,000 souls moved at the Kalinga Stadium. This was it. It would end soon, though. Seconds later, that moment would eventually go to Vanasch and Belgium, and hockey would find a new world champion. For a team that carries the air of a diligent understudy, it was only fitting that glory arrived in the dramatic disguise of an opponent's miss. 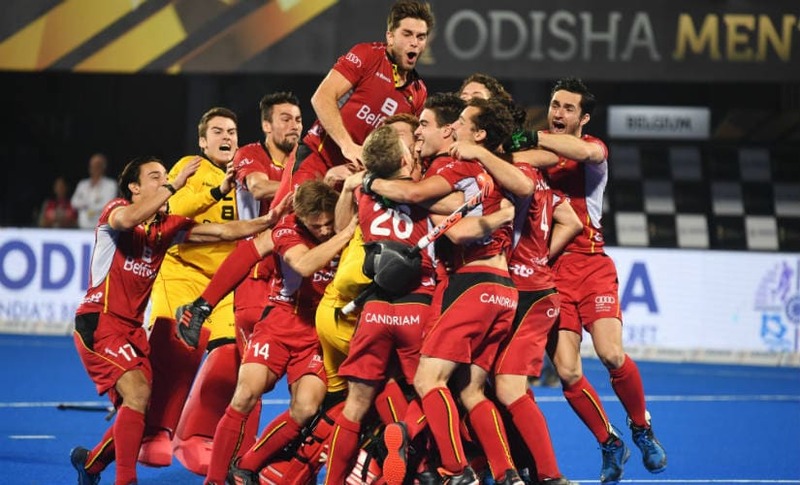 "This will come back to us in waves," Belgium coach Shane McLeod told Firstpost. "At first, you don't realise what you have achieved, but it will surely keep coming back in waves that we are the world champions." For the understated Kiwi, the night was a vindication of his coaching credentials. 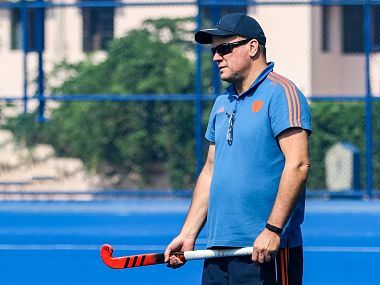 Since taking charge in October 2015, the reigning FIH Coach of the Year has led his bunch to a silver medal at the Hockey World League Final in 2015, a silver at the 2017 EuroHockey Championship, and another silver medal at the Rio 2016 Olympic Games. The loss in the last two major finals was given a positive touch with a simple thought that was reiterated by multiple players. "You have to lose a final to win one," Arthur de Sloover said. Later, captain Thomas Briels and McLeod would say as much, indicating that it was more than a casual effort at making losses more palatable. Yet, more than individuals, this was an endorsement of processes and programmes. The Belgian dream began in 2008 when they made it to the Olympics after 32 years on the back of a promising club and domestic structure. They finished ninth out of 12 teams, but the process to build a team for the future had started. There were other important pitstops too, such as finishing fifth at the London Olympics as the World No 13, followed by the famous silver in Rio four years later and a second-place finish at the 2017 European Championships where they lost to the Netherlands in the final. A gold, though, remained elusive. To their credit, Belgium trusted their structure and knew that they were one push away from bringing the door down. 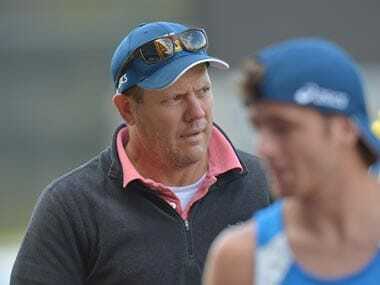 The core of the team was not tinkered with, even as McLeod welded some Asian and Oceanic influences in their European game. "We are really really lucky we have so many good team members. Simon's father left him, it was sad for all of us. We wanted to to do it for him. It was a special moment for him," Briels said. The journey, though, needed a closure. It arrived twice in a space of five minutes, 5000 miles from their homeland. Sloover's goal was disallowed after a video referral, and it would have been a cruel twist in their tale had Florent van Aubel missed too. He didn't. Briels, Sloover, and McLeod would later dismiss those tense minutes — between the disallowed goal and sudden death — with exemplary equanimity. "For one second, it's hard, but we had confidence in the guys and in our goalkeeper. I knew we will get the goal. It shows we can win a final. Sometimes, you have to first lose a final before winning. "We showed a lot of character. We are very good friends, we are one family, and that is our strength," Sloover said. McLeod knew it was written in the stars, and he told as much to his boys before the shootout. "He kept telling us, it's in the stars," added Briels. At the end of a draining night, with the title of world champions sitting pretty on his shoulders and having thanked his stars that shone brightly in and under the clear sky, McLeod summed up the drama as only he could. "It was a funny day, you know." We know.